Sounds like the ritterpferde were used to charge after the intended victim had been "softened up". Can't see them with a lance and pistols. Based off of your OOB it looks like companies were somewhere between 100-200 troopers. Did the Saxons use two companies to form a squadron? Don't feel alone in your interest in the Saxons. I have a weak spot for them too. I lived in Dresden for two years and became a Saxon fan. Kind of like being a Cubs fan. Anyone who follows American baseball will know what I'm talking about. Last edited by Friedrich August I. on Fri Jan 12, 2018 1:16 pm, edited 1 time in total. I have a copy of the book on the Saxon army in the 30 yrs war. The Saxon pikemen seem to not have worne helmets but did have at least front breastplates and tassets (hip guards). Officers sashes were yellow. The artillery was comprised of six 12 pounders, 12 six-pounders and associated artillery parts including 400 pioneers. In early October 1631, the 12 pounders were sent back to the Dresden arsenal and replaced by four 24-pounders. Jeff78 wrote: ...Would there be a mix of cuirassiers and arquebusiers in the same squadron or regiment? My thought would be separate regiments, as this is an administrative unit, formed up in mixed units (size?) for battle. the Cuirassiers. Saxons also had Ritterpferde - Knights - which fougt in an almost complete body armor and used lances. These special units were called Adelsfahne. I have to correct myself here - at the time of writing this post I did not have the Books which I now own I am sorry for misleading information's given. 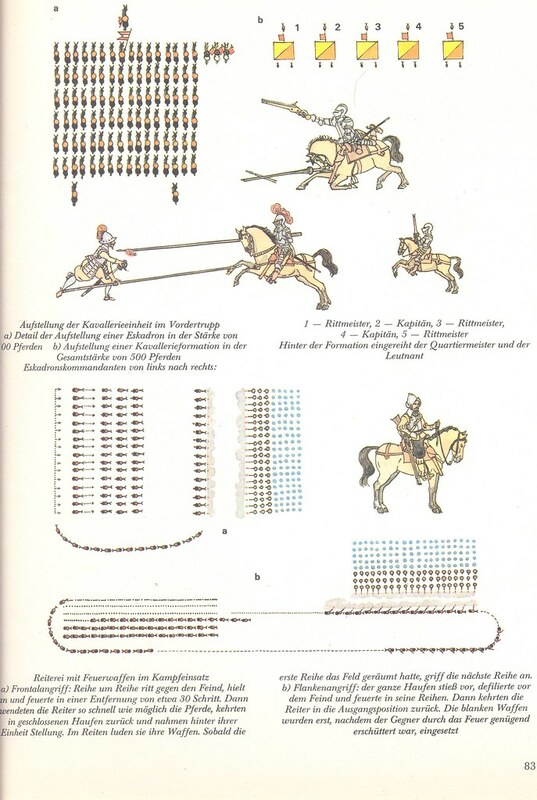 The Saxon Cavalry consisted 1635 of 19 Regiments of which ALL but 3 were Arquebusier. The remaining 3 have been 50% Arquebusier and 50% Curassier. 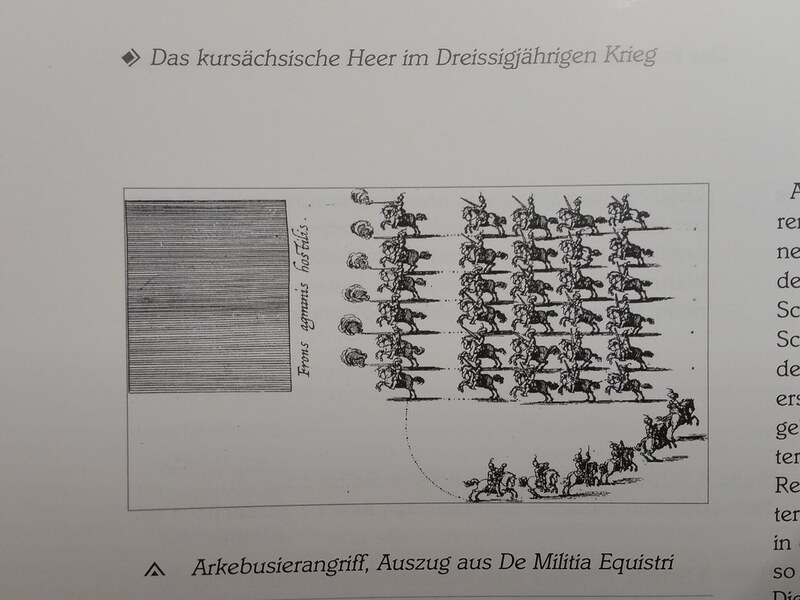 The MAIN-Attack method was by Caracole - one Line of Horsemen rode forward (while the Esquadron* was formed as a Block behind - Firing from saddle up to 100-300 paces away and riding off to the LEFT (Hand holding the Bridles). *If the unit consisted of several Companies it formed two or more Esquadrons - counts for Foot and Horse alike.